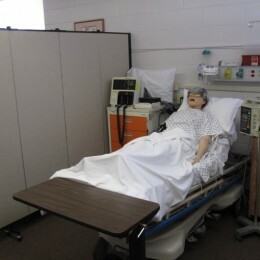 Home and industry healthcare room dividers are easy to use to create patient privacy. 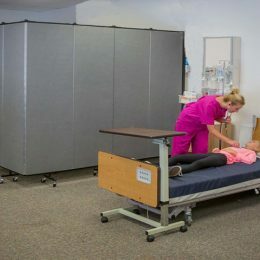 Our Healthflex Privacy Screens provide privacy in a variety of settings including doctors office, dental facility, pharmacy, physical therapy, health clinic, hospital, school nurse's offices, nursing home, or emergency relief centers. The privacy screens are available in 38 colors and 6 heights and 6 lengths for 36 privacy screen sizes. 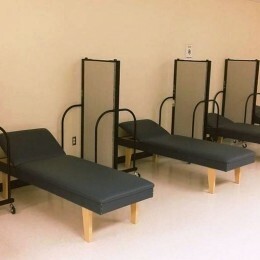 Each panel of the unit is treated with a factory applied antimicrobial coating to prevent the spread of germs. 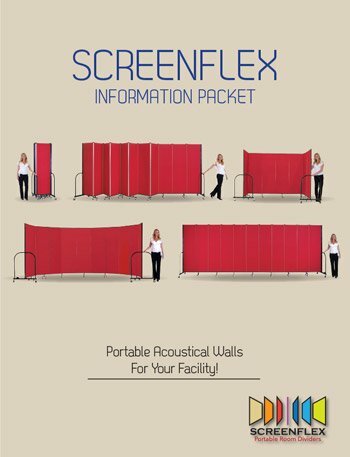 Screenflex Healthflex Privacy Screens glide effortlessly on ball bearing casters wheels and can be set up straight or with turns. Our design consultants will create a layout plan to ensure the purchase of the correct size Healthflex Screen for your space.